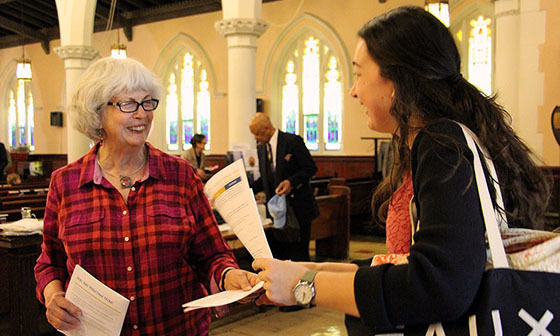 Share with the Call Committee your hopes for our congregation and our next Senior Pastor. Now our Call Committee is facilitating in-person conversations about our church's identity, needs, and future. These conversations will guide the Call Committee in the process of seeking out and selecting the candidate to present to the congregation as our potential new Senior Pastor. This conversation will also help all of us attain a broader, richer perspective of who we collectively are as the people of Advent Lutheran Church. If you have any questions or concerns about these upcoming Call Committee conversations, please email us or speak in person with a member of the Call Committee (pictured above) this Sunday. We're on our way to reaching our pledge goal by July 4! Our total was $33, 230 as of last Sunday, and we're getting new pledges to count up this week. 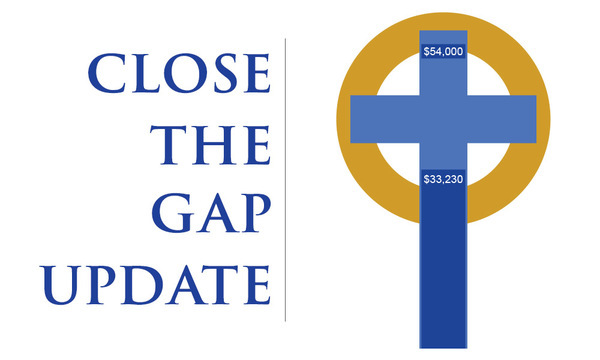 Join us in closing the gap in our 2016 budget, and successfully keeping a balanced budget without cuts or compromises to our ministry! We're confirming our whole Confirmation class, set to music from our pianist Deanna's jazz trio. About a dozen junior high youth have been participating in our Confirmation program the past two years, and next Sunday at 11am worship, we get to celebrate and honor them as they affirm their faith. We are so proud of all the questions, observations, and deliberations these students have brought to Confirmation class over the past two years, and it's been wonderful seeing them grow together. 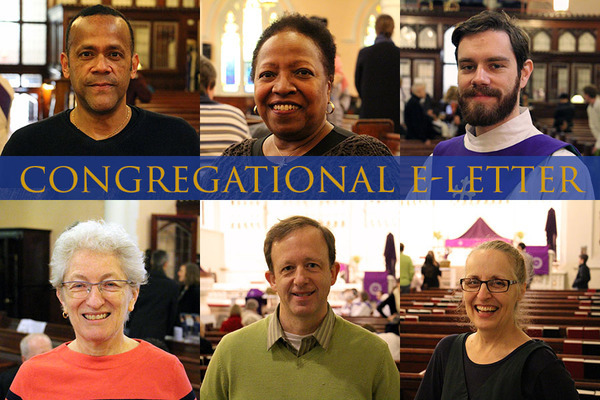 We look forward to confirming them next Sunday! 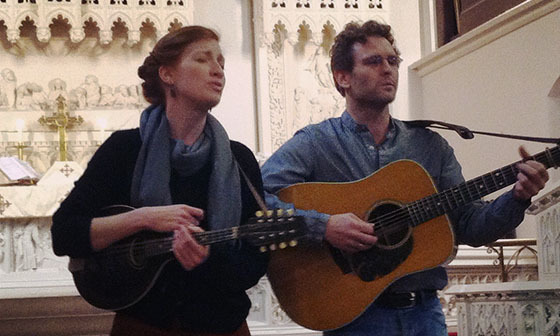 The same Sunday, we are excited to welcome the Deanna Witkowski Trio in our 9am & 11am worship. Deanna's jazz trio will lead our congregational singing of her unique "jazz liturgy," including Deanna's original Evening Mass, which we will use throughout Pentecost. Deanna will also have copies of two of her recordings, Raindrop: Improvisations with Chopin, and From This Place available for purchase between services. A portion of each sale will go to the fund for our upcoming new piano. Click here to sample some of Deanna's liturgical jazz. Don't miss our new class, "Do I know you?" Awkward Church Encounters Made Easy, at either 10:10am or 12:10pm in the basement fellowship hall this Sunday. 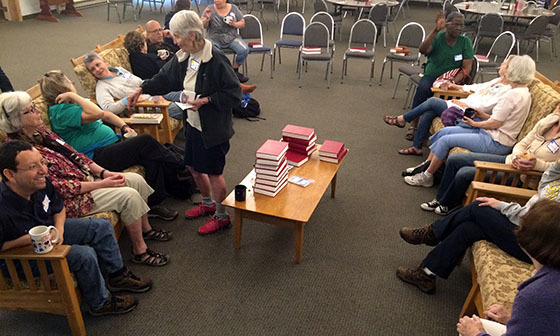 There's still time to register for our rejuvenating and community-building annual retreat June 3-5 at Koinonia Retreat Center in upstate New York. Share a song, poem, or story, or sit back and hear the work of other creative types in our community at Coffee House: West Side Voices at 7pm this Friday, May 6. 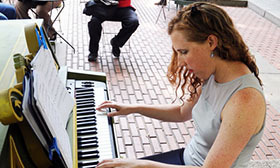 Our pianist Deanna will be performing with her jazz trio at La Lanterna Caffe Monday, May 9, & playing in Bryant Park from 12:30-2:30pm each day May 9-13. In this Sunday's "Mission Moment" in worship, you'll hear from Chandra Travis, whose daughter Sojourner receives support from our Scholarship Fund to attend NYU. We invite you to hear her speak, and consider making a donation to our Scholarship Fund this month. College students, applications for the next round of scholarships will be available May 8. They'll be available at worship, in our office, in this e-letter, and on our website. Gospel Text | John 17:20-26: Jesus prays for all people.